Take your game to the next level by contacting one of our local teaching pros! Teaching pros listed on our website have submitted a criminal background check through the ATA. Lauren grew up in Raleigh, NC where she played the USTA junior tournament circuit and trained at Seven Oaks Swim & Racquet Club. She played college tennis at UNC-Asheville from 2013-2016 under Coach Lise Gregory and majored in Psychology. Lauren is currently seeking a graduate degree from WCU in Clinical Mental Health Counseling. She coached the Varsity Girls Tennis Team at Asheville Christian Academy last season. Lauren and her husband Eric enjoy going on hikes with their dog and playing tennis together on the weekends. Brett grew up in Asheville and graduated from Enka High School. Brett left Asheville to attend UNC Chapel Hill where he majored in Sports Administration. He has been teaching adults and children in Asheville for the past six years and is a certified USPTR Pro. Brett and his wife Sara enjoy hiking in beautiful Western North Carolina. Fun Fact: Brett is a Rock Star! He plays bass guitar in a band named Summer Wars. Jade is from Perth, Australia, yet lived in London most of her childhood before finishing high school in Perth. Jade came to the States to play college tennis at Mars Hill University. She graduated in 2017 with a Health and Physical Education degree and a K-12 teaching License. Currently, Jade works with Autistic children as a Registered Behavior Technician. In her free time, Jade and her wife enjoy hiking with their dogs, Mitchy and Charlie, traveling, and exploring the mountains! Fun Fact: Jade has visited 12 countries in the past 4 years and still counting! Jean-Michel grew up in Santa Monica, California. He has over 13 years of experience with all levels and ages. UNC Charlotte ’06, Division 1 college tennis athlete, middle school coach, & junior coach for the ATA. 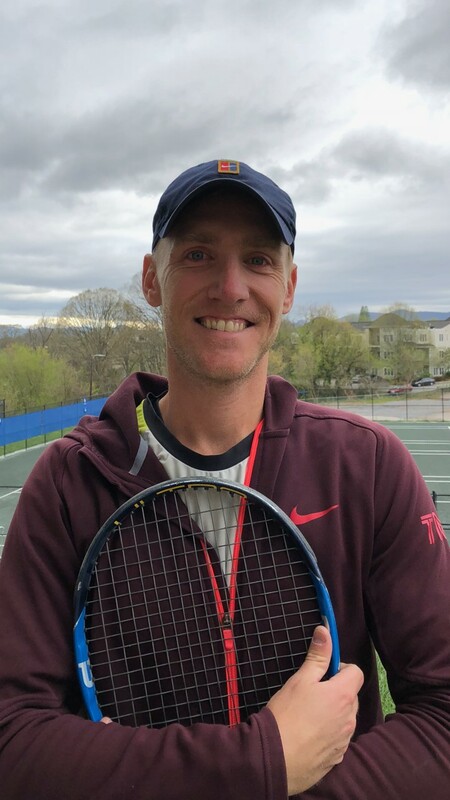 He has worked with hundreds of clients and juniors in California, Hawaii, and NC as a freelance tennis professional. Available for private lessons, group lessons, clinics, strategy & match coaching, and as a hitting partner (3.0+). Fun Fact: Jean-Michel is the owner of Pong AVL, Asheville’s local source for ping pong rentals & events.